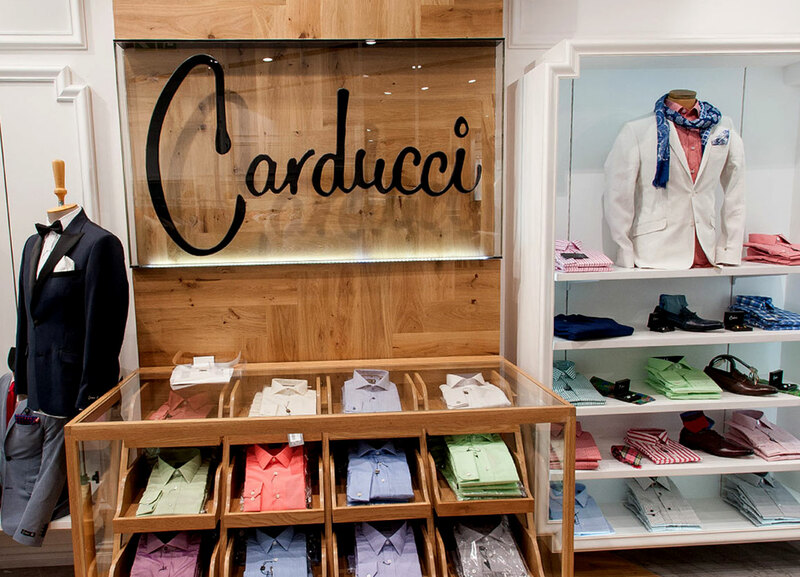 As a high-end fashion retailer, Carducci has earned a reputation of distinction that spans over 30 years. 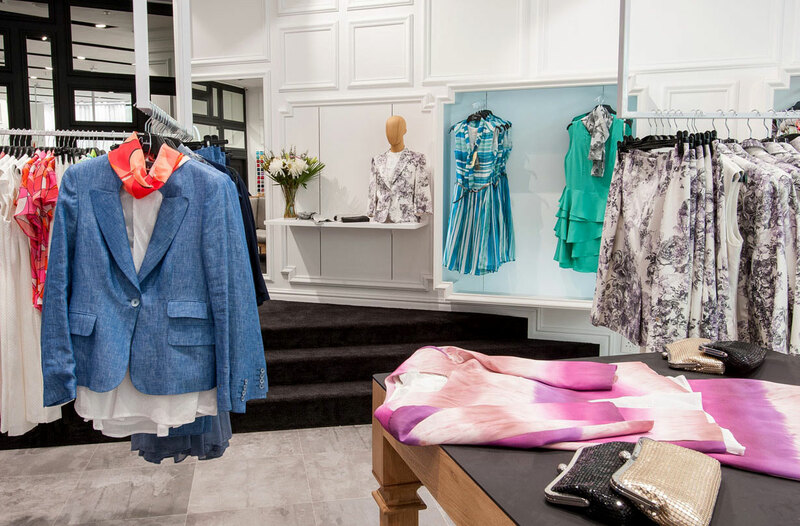 On a quest to translate their designer fashion philosophy into a tangible retail space, Carducci called upon the retail interior design service of AB Design to masterfully construct their illustrious Canal Walk flagship store in 2016. Elegant professionalism encompasses the Carducci label of designer clothing. 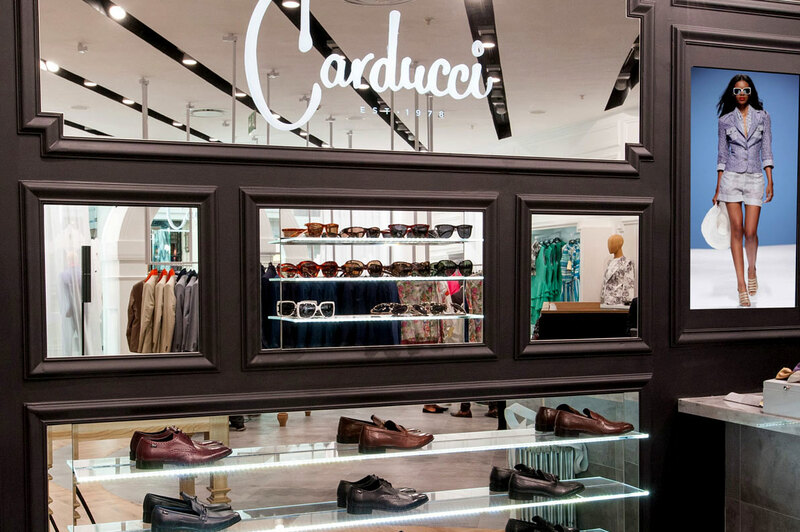 Carducci’s ethos of grand simplicity and sophistication needed to be communicated through the design and implementation of an innovative retail space. AB Design therfore launched into a three-month design process to capture the grandeur of this reputable fashion brand. Boasting fresh styles and an allure toward sleek professionalism, the new Canal Walk store was to evoke a luxurious yet functional retail experience for anyone walking through the regal archway and bold entrance pillars that are now its landmark characteristics. The grand simplicity of a statement archway leads clients into the store. Well-appointed fitting rooms were installed with spacious interiors boasting plush pile carpeting for supreme comfort. Set on an elevated platform to create a visual spectacle of the tailoring process, clients quite literally take to the ‘stage’ to fit on clothing at their leisure. The retail store design also needed to offer maximum style balanced with functionality for the optimum client experience. The main floor therefore boasts an array of mirrors, a lounge area and bold signage which add to the upmarket ambience of this designer space. Custom cabinetry with mobile storage solutions and a tailor-made rail system were also commissioned to allow for a variety of layout options that could easily adapt as the brand grows into the space. The colours of Carducci add vibrancy against the monotone scheme of the retail store design. From concept to installation, each design element was carefully considered. From the meticulous selection of modern finishes to the overall atmosphere created with sleek lines, contemporary lighting and flexible display units, each detail adds to the eclectic mix of materials used to enhance the client’s instore experience. A blend of contemporary materials forms the backdrop against which the Carducci range of fashion can take centre stage. Solid wood – from the honey-toned hues emitted by the solid oak flooring to the choice of wooden display cabinets, this timeless material adds depth and richness to the space. Slate – the luxury of natural stone adds a beautiful textural quality to the floors in this store and creates complexity and contrast in the overall design scheme. Wall panelling – with a subtle touch of sophistication, walls are given texture and chic European flair with added wood panels in a neutral shade. Leather – carefully curated leather elements bring a sense of rich opulence with functional durability to enhance the design scheme. Glass and mirror – polished and reflective surfaces add to the high-end design. Elegant. Luxurious. Refined. This is how AB Design’s Creative Director, Aidan Bennetts, describes the overall look of the Carducci Canal Walk store. We chatted to Aidan to find how the design team managed to exceed client expectations during this exciting project. From planning to execution: Customised railing systems offer adaptable storage. What was your design brief for this high-end retail space? 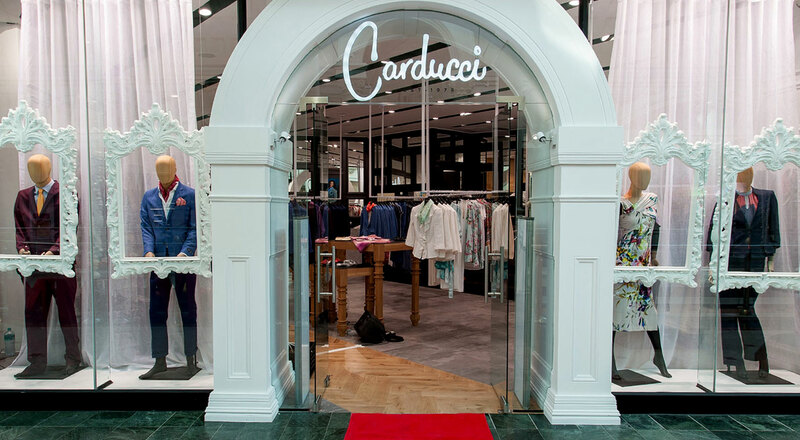 How did you translate the unique Carducci brand and reputation into a tangible space? “I used a few key techniques that I thought where representational of the Carducci reputation. On the walls I created distinct French panelling. The floors, we embedded with a solid oak floor in a classic herringbone pattern. We then detailed the space with other solid wood elements as well as some rich textural elements clad in leather. To put the luxurious touch in we used glass and mirror creatively to reflect the internal ambience we created. We look forward to watching this brand evolve in the future as the retail store design brings new opportunity for growth and increased sophistication.